The NRA Basic Shooting courses are designed to provide the student with the knowledge, skills, and attitude to safely handle a variety of firearms. They range from beginner to advanced. Students will receive official NRA student packets which include a student manual, completion certificate, NRA Gun Safety Rules brochure, and Winchester/NRA Marksmanship Qualification booklet. 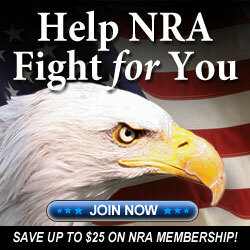 For more information about each course, visit the NRA Instructor portal.